My first tip is to extend the time between washing your hair. Each time you wash your hair, you have to put hot tools on it when you are styling it again. Those blow dryers, flat irons, curling irons, and wands are just not good on your hair! If you can hold off even just one more day between washes, it can help your hair significantly. I wash my hair every 12-14 days and that is something that I have had to work up to, but my hair feels so much healthier when I am able to extend the wear of my hair. 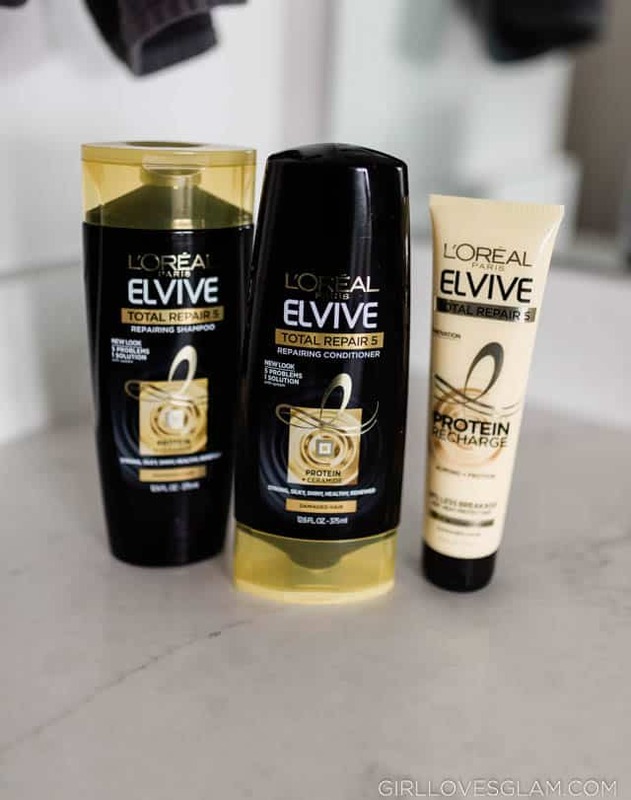 When you do wash your hair, it is really important to use products that are going to support healthy hair. 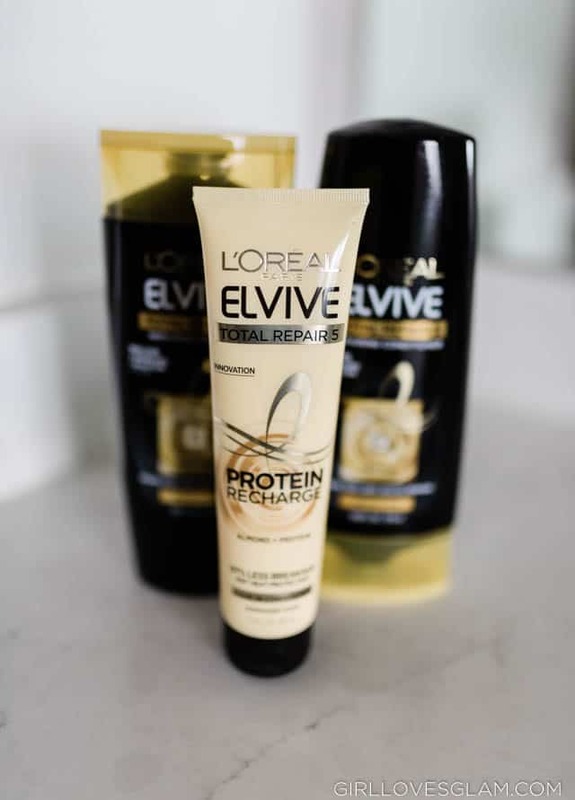 I have been using the L’Oreal Elvive Total Repair 5 products and I have noticed a big difference on how healthy my hair feels after using it. It is perfect for damaged hair due to overstyling, coloring, etc. Because I do go a while between washes, I make sure to deep condition my hair each time I wash it. I put the deep conditioner on my hair after I get out of the shower and I let it just sit in my hair for a while. My hair is able to really soak in those nutrients that it needs. It actually doesn’t need to be left in, which is amazing. 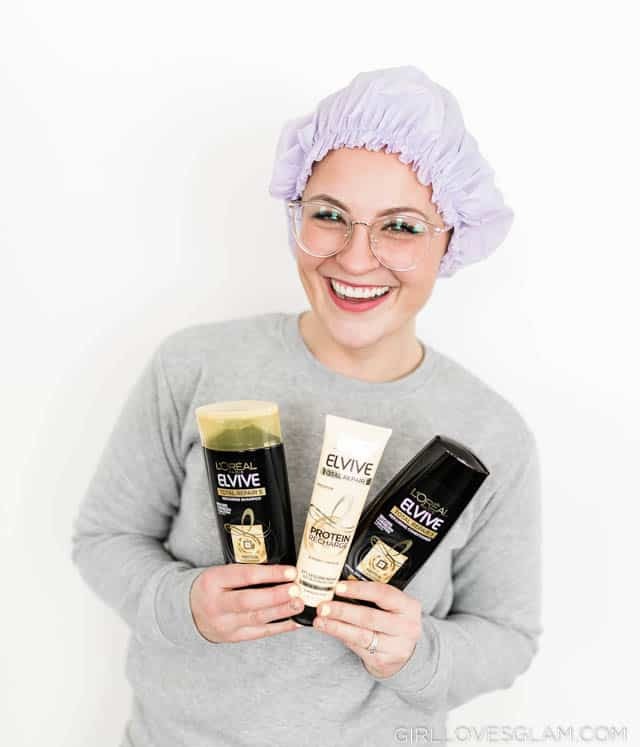 You can use the deep conditioner and rinse it out right away. I am a creature of habit, so I usually leave mine in for a little bit, just for that extra hair love. It provides easier detangling and it provides 2x more results than the leading conditioner. If you start to notice your hair is splitting, get a trim! Don’t put off getting a haircut. People seem to think that the longer they wait to get their hair cut, the longer their hair will be. This isn’t necessarily the case because damaged hair really needs those trims. You can also enter the #StopWaiting sweepstakes for a chance to win a trip to Paris! Head over to the Stop Waiting site for more details and the sweepstakes entry form.